As the year wraps up, I have been taking time to relax, reflect, and plan for 2012. I have been always intrigued by the questions we ask ourselves when we reflect. Questions, and our ability to engaging in the questioning process, both introspectively and with others, is critical for the development of our cognitive, emotional, and spiritual capacities. At long last, I have received information that my paper on Securing Intellectual Assets: Integrating the Knowledge and Innovation Dimensions will appear in International Journal of Technology Management (Vol. 54, No. 2/3, 2011). Abstract: The concept of intellectual asset security has received widespread attention in recent times. Much of this attention can be attributed to the fact that knowledge assets can be used to secure competitive advantages for organisations. Moreover, one might assert that in today’s knowledge-based economies and markets, it is these assets that truly differentiate organisations and are the only true source of sustainable competitive advantages. In order to have a robust program for managing intellectual assets, an organisation must account for its knowledge management and innovation processes. In this paper, drawing on 1) a semiotic-based model for knowledge management (Desouza, 2006), and 2) an organisational process of innovation (Desouza et al., 2006), the author describes an integrated process framework for the management of intellectual assets. The framework is then used to describe salient security management challenges faced when managing intellectual assets. Executives involved in security management programs in 23 organisations were interviewed to elicit key security management challenges faced by organisations when addressing intellectual assets. The concept of intellectual asset security has received widespread attention in recent times. Much of this attention can be attributed to the fact that knowledge assets can be used to secure competitive advantages for organisations. Moreover, one might assert that in today’s knowledge-based economies and markets, it is these assets that truly differentiate organisations and are the only true source of sustainable competitive advantages. In order to have a robust program for managing intellectual assets, an organisation mustaccount for its knowledge management and innovation processes. In this paper,drawing on1 a semiotic-based model for knowledge management (Desouza, 2006)2 an organisational process of innovation (Desouza et al., 2006), the author describes an integrated process framework for the management ofintellectual assets. The framework is then used to describe salient security management challenges faced when managing intellectual assets. Executivesinvolved in security management programs in 23 organisations were interviewed to elicit key security management challenges faced byorganisations when addressing intellectual assets. My second post on the Harvard Business Review site went live today! The post was written in collaboration with H. James Wilson and is titled, Finally, A Majority of Executives Embrace Experimentation. The post outlines the value proposition of building an experimentation culture within organizations and how executives can support employee experimentation. The post has been picked up by Bloomberg Businessweek as well. Once you have advocated, screened, and funded ideas, the next step is to engage in experimentation. To experiment is to try something new. It allows you to observe the interplay between cause and effects—i.e., it is the application of scientific methods to generate actionable knowledge. Simply put, experimentation can be considered the sum of all activities we engage in to test the feasibility and elasticity of an idea. On the feasibility side, we are normally looking at the cost, benefits, effort, resources, and risks involved in transforming the idea into a viable product and/or service. In addition to feasibility, the experimentation process will also unearth the elasticity of an idea. 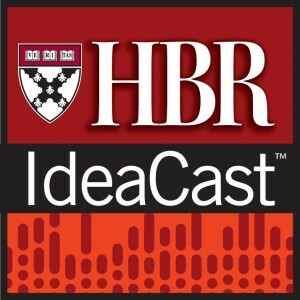 Idea elasticity focuses on the reach of the product and/or service. Elasticity tries to see how far you can stretch ideas, both in terms of the number of products and/or services that you can develop from them, and also the domains in which you can deploy them. It is through the process of collecting data through the conduct of experiments that we can find support for the ideas. Data collected during the experimentation process will help us gather the necessary evidence to support decision-making. Today, there is a big movement in medicine called evidence-based medicine (EBM), which demonstrates that a move towards more scientific and data-driven decision-making can prove to be valuable, rather than purely relying on gut instincts. Dr. Dave Sackett, a pioneer in the field states “EBM is saying rather than just rely on tradition, expert opinion, wishful thinking, let's try and find the evidence and apply it.”  To build a culture of experimentation one must focus on the following principles: 1) do not just discard ideas without adequate evidence, 2) do not support or move ideas ahead without adequate evidence, and 3) always look to exploit data from experiments. Experimentation needs to be made part of every employee’s work and has to move beyond the R&D Labs. The R&D Labs have natural constraints that leave a lot to be desired in terms of experimentation. For example, most of the R&D personnel are detached from the day-to-day running of the business and hence are not the best people to experiment on the problems and solutions of interest for today. In addition, these labs are often physically secluded from the operational centers of the business. This separation leads to difficulty when you try to transport (mobilize) ideas from the lab in order to address problems that are happening on the ground. Finally, you also have a numbers issue. The number of individuals working in an R&D lab is minimal compared to employees who are involved with the day-to-day running of the business. As such, no matter how brilliant your R&D lab personnel are, you will be at a loss if you cannot find ways to tap into the 85-90% of your organization’s employees who do not work in the lab. At the Engaged Enterprise, we had a R&D lab, the Institute for Engaged Business Research (IEBR). IEBR was focused on working on applied management problems that had value propositions to our clients. We determined upfront that simply relegating experimenting and innovation to the labs was not optimal. We needed to find a way to blend the experiences of those working on the consulting side with the R&D side. In addition, we needed to find ways to take knowledge that was being generated on the consulting side (as experiments were conducted “live” while projects were being done – i.e. as we tried to install a new service or strategize with a client – we were in essence engaging in experimentation) and move these into the R&D lab. We did this by having people share their time between consulting and R&D. Also, we had our R&D folks develop a method and handbook that could be used for experimentation which explained the basics of experimentation and how to capture and store results. We also encouraged sharing of results from experimentation efforts so that others might use the results, or provide their reflections on the experiments. The effort to move experimentation beyond the R&D labs needs to be a conscious one. Both, organizational (management) and employee level interventions need to be in place to promote this concept. Managers should not only encourage their employees to experiment with their ideas, but even go so far as making it a requirement when ideas are being developed and proposed. In addition, employees should take responsibility to engage with the experimentation process, and be aware of methods and practices for conducting experiments.